Your college years are a time of self-discovery and increased independence, and this usually means that you have much greater control over your finances than you had in previous years. Your parents may still provide you with at least some level of financial support, and you may derive at least a portion of your funds from student loans, grants or other financial sources. However, it is up to you to manage your funds, to control your own spending and to think about your savings. Budgeting and managing your own funds may be a relatively new concept for many college students. Even those young adults who managed a budget while living at home may now be faced with increased expenses and with the realization that they may not have their parents to fall back on if they happen to overspend or to budget insufficiently one month. These factors may understandably cause you to feel financially stressed, but there are things that you can do to rein in your stress levels. Creating a monthly budget and learning how to stick to it can give you financial peace of mind. By following a few money management tips, you may be able to reduce your financial stress throughout college and to avoid taking on unnecessary debt. If you are learning how to budget properly in college, this process begins by finding a way to organize your funds and manage them. Some people do this with pen and paper, and others use Excel table or even apps. All sources of income should be listed, including funds from scholarships, your part-time job, your parents and more. Your budget should also include all known expenses, such as housing, utilities, transportation and other related expenses. Be aware that some of your expenses, such as fuel costs and utilities, may fluctuate. Your budget should estimate these figures on the high side so that you never underestimate your expenses. Your goal is to create a balanced budget, but it also is smart to err on the side of caution by leaving some room in your financial plan to account for unexpected expenses. Extra money in savings can also be used for emergencies and larger purchases. Learning how to save money is important in college, and the good news is that college students have multiple money-saving options available. Educational expenses can be a major line item on any college student’s budget, and you understandably want to save as much money as possible on these expenses. Remember that these expenses can include everything from a backpack and writing supplies to a new computer, school books and more. Shopping for used merchandise when feasible is a smart idea. For example, you can usually always purchase used textbooks, and you can sell them back to the retailer at the end of the semester to reduce the cost of your textbooks. Also, you can purchase a used backpack, or a computer as well as other supplies to save money. You can also use the Internet when shopping to find the best deal possible on these items. If you make online purchases, pay attention to taxes and shipping fees. You may also stock up on school supplies during back-to-school specials in the late summer or early fall months. It may be much more difficult to find low rates on paper, pens, and other supplies throughout the remainder of your school year. Another way to save money on your education is to take advantage of a locked-in tuition rate available through many colleges today. Inquire with your college’s registrar if this is available at your school. Most people have at least some personal expenses throughout the year. Depending on your lifestyle and needs, you may have many medical expenses, clothing purchases and more on a fairly regular basis. Entertainment, travel, food and other items also fall into this category. If you want to save money in these areas, always look for alternatives that may help you to save money. For example, host a movie night with friends at home rather than going to the theater. Opt to cook your meals at home, try using the most affordable transportation and forget about credit cards altogether. Try couponing and get a side job to earn some extra income. In addition, adjust your mentality so that you only make purchases after shopping around and only after ensuring that you are buying necessities rather than frivolous items. Do not make purchases simply because other people have fancy new items and you feel left out. Student loans are a common financing option that college students use to pay for tuition, books and other related educational fees. Many students also use loans to pay for at least a portion of their living expenses in college. Remember that you will need to pay back your loans after you graduate. Therefore, only take out student loan funds that you urgently need to make ends meet, and scale back your expenses as much as possible. When possible, use alternative financing sources to pay for your expenses. This may include money from a part-time or summer job, gifts from relatives, scholarships and more. Be proactive about searching for new sources of funds that can be used to offset the amount of money that you need to borrow to fund your education and lifestyle. Many students receive some funds from grants or scholarships. These are typically given to the school to pay for tuition and related fees, and any excess amount may be distributed to you by the school after your semester starts. Be aware that many of these financial benefits are depending on your academic performance. You may have to keep up your grades to maintain this type of financial award in the future. Some awards are non-academic, and they may be based on your affiliation with an organization, a company or something else. Some scholarships and grants are only available for one semester at a time, and you may need to reapply regularly. Some students will need to use financial aid to pay for their living and educational expenses. The keys rests in filling out a Free Application for Federal Student Aid, or FAFSA. 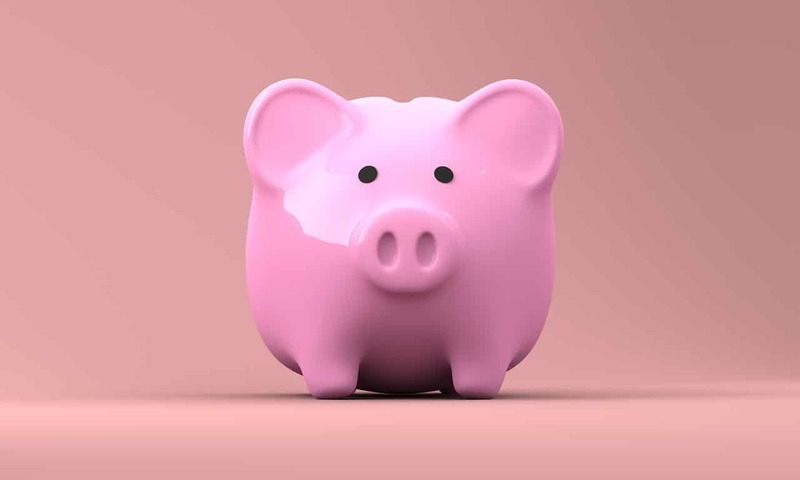 Any portion of funds that you need that is not covered by scholarships, grants and other forms of financing can be paid for through student financial aid. Managing your educational expenses and personal expenses can be challenging in different ways. By understanding the challenges that you face and by properly budgeting and planning for them, you can live comfortably without falling heavily in debt. In the next chapter, we will explore several options students have when it comes to working in college.